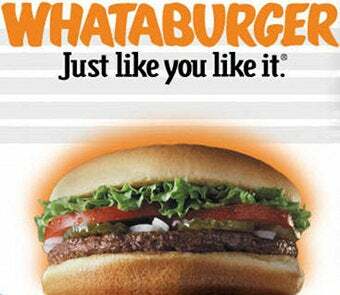 A Texas man claims he was fired from his long-time job at Whataburger by "old-school" management...after he married a black woman. Clifton Rutledge, the Regional Director, explained to Young what he needed to do to advance his career with Whataburger. Young was told by Rutledge to watch who he was dating. Rutledge, who knew Young was white and that Young was dating an African-American woman told Young that the Dobson family is "old school" and who Young dated or married could negatively impact his career and promotions within the company. And from Whataburger's PR statement, "While we can't discuss pending litigation, Whataburger is proud of its diverse family of employees, the positive work environment we have created and the equal opportunities we make available to all of our employees. We will vigorously defend our reputation should this action go to trial." Until then, apparently, they won't. If true, obviously this is both reprehensible and illegal. Of course, without knowing the circumstances of the firing or Young's performance, it's impossible to speculate further. But that this should even be a possibility in 2010 is depressing indeed.